In just under the wire (at least for this side of the globe). 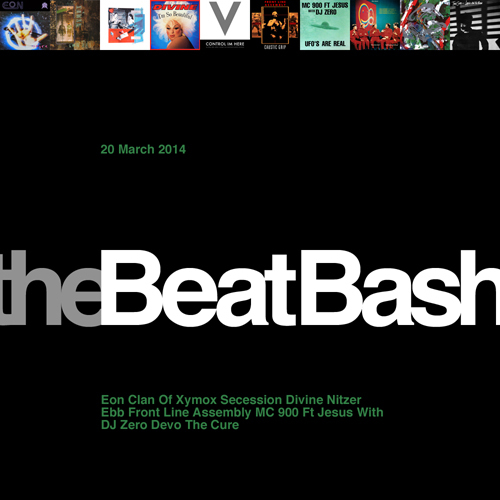 Categories: The Beat Bash | Tags: Clan Of Xymox, Devo, Divine, Eon, Front Line Assembly, MC 900 Ft Jesus with DJ Zero, Nitzer Ebb, Secession, The Cure | By: Jeb. Some mixes are harder than others to record – this is one of those mixes. I love that Manufacture was produced by Greg Hawkes, the bowl-cut and glasses-wearing keyboard player in The Cars. 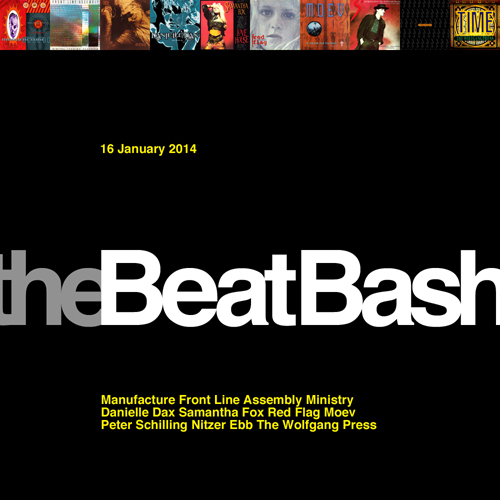 Categories: The Beat Bash | Tags: Danielle Dax, Front Line Assembly, Manufacture, Ministry, Moev, Peter Schilling, Red Flag, Samantha Fox, The Wolfgang Press | By: Jeb.